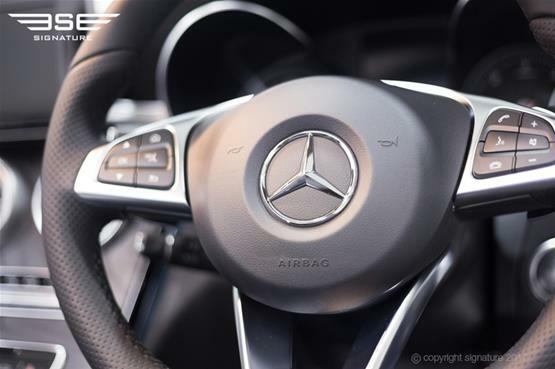 Welcome to the first ever Mercedes C Class convertible, a car which Mercedes describes as the embodiment of modern luxury with a youthful touch. 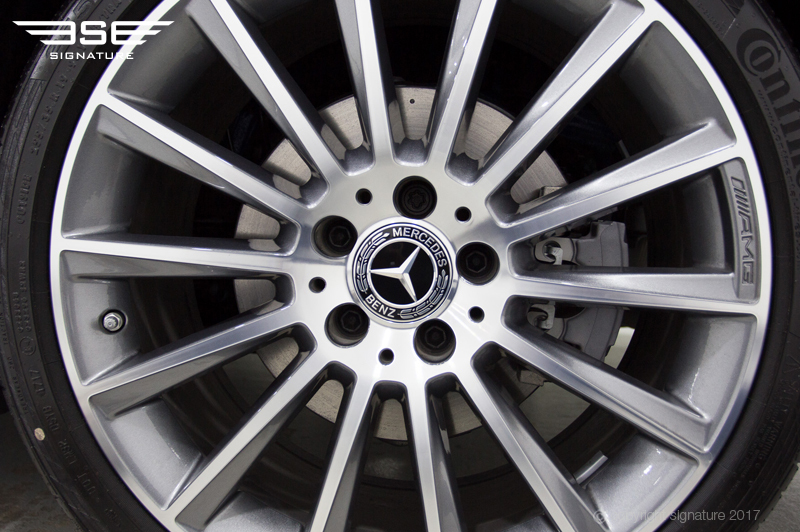 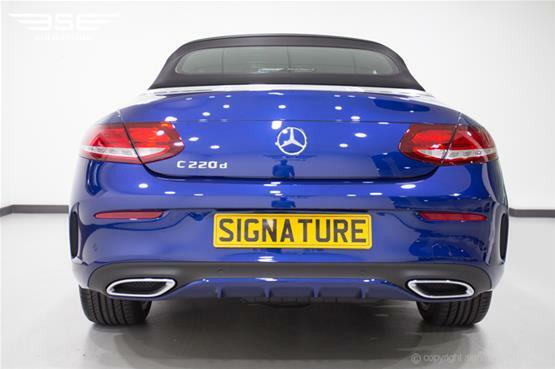 It’s easy to see where this description comes from: the C Class Cabriolet is a powerful, stylish car with chiselled lines and passenger-pleasing comfort levels. The 220 d Cabriolet version of the C Class we have here is a wonderful cruising car, an impressive feat of engineering and a general invitation to automotive fun. 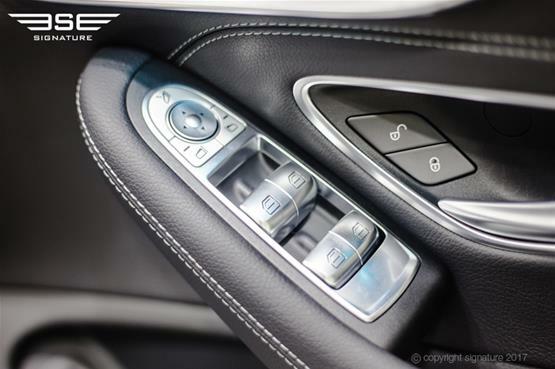 It’s also widely acknowledged to be superior to its rival, the BMW 4 Series, in not only comfort and elegance but also economy. 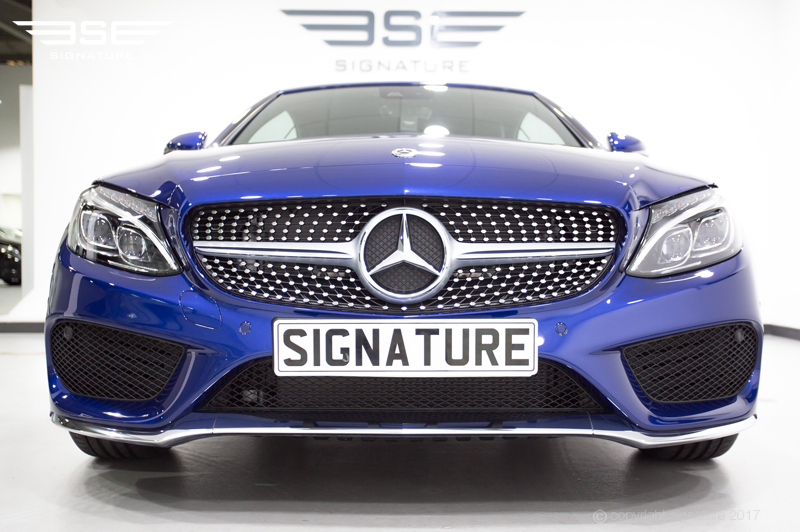 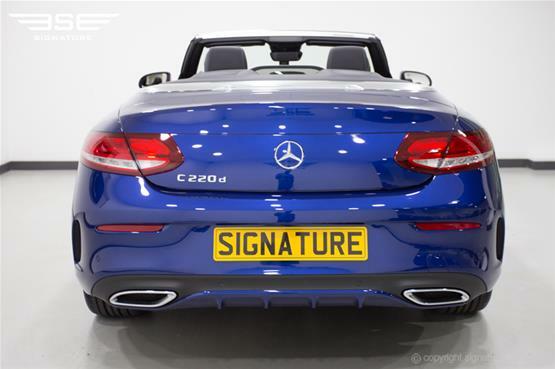 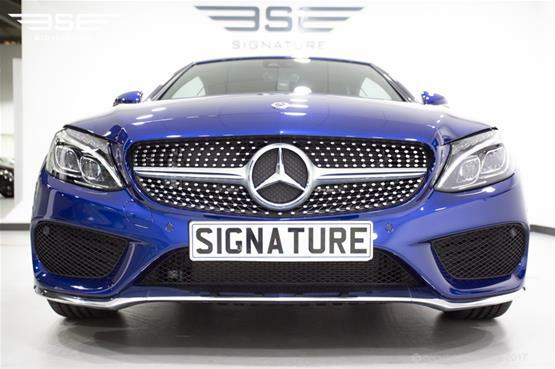 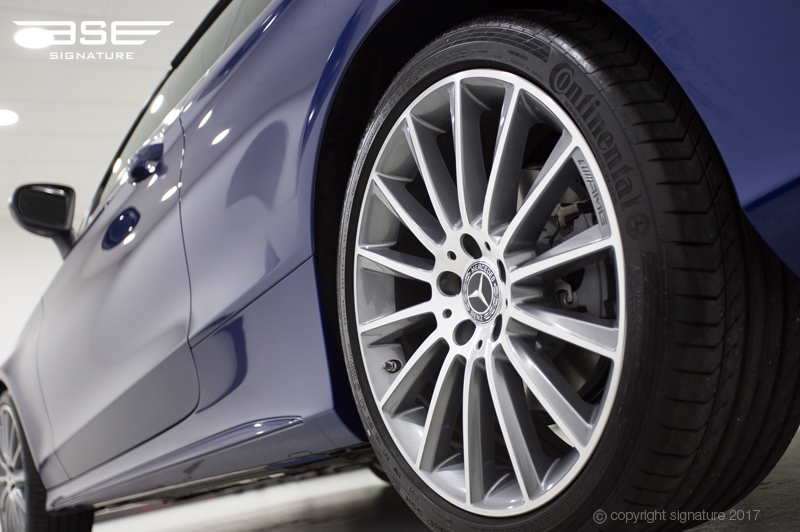 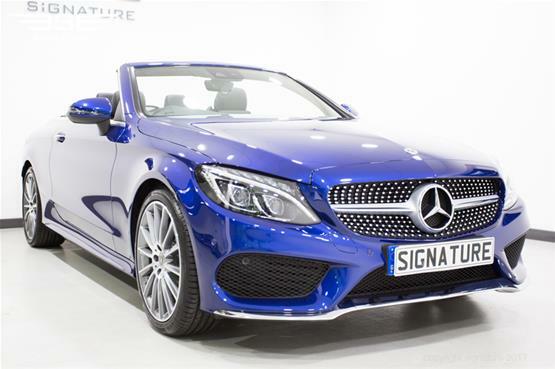 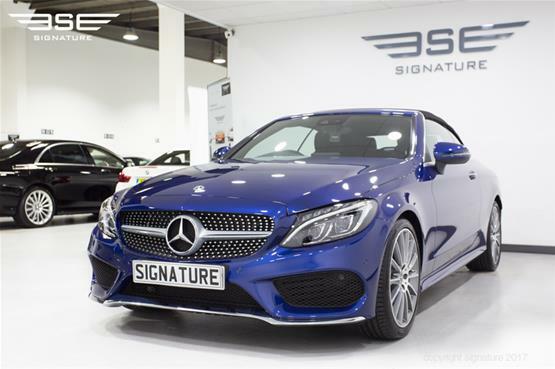 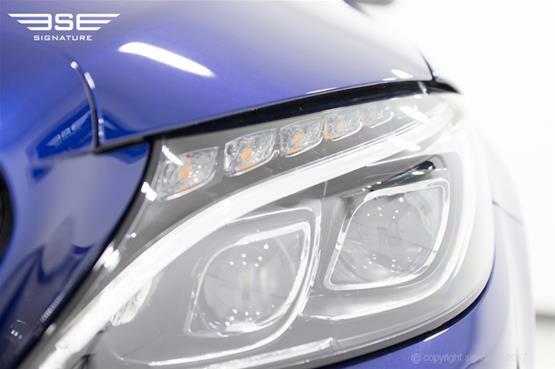 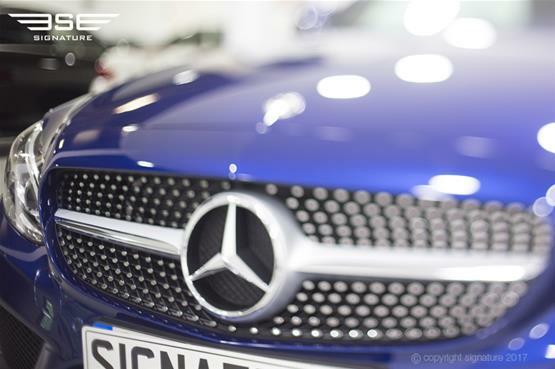 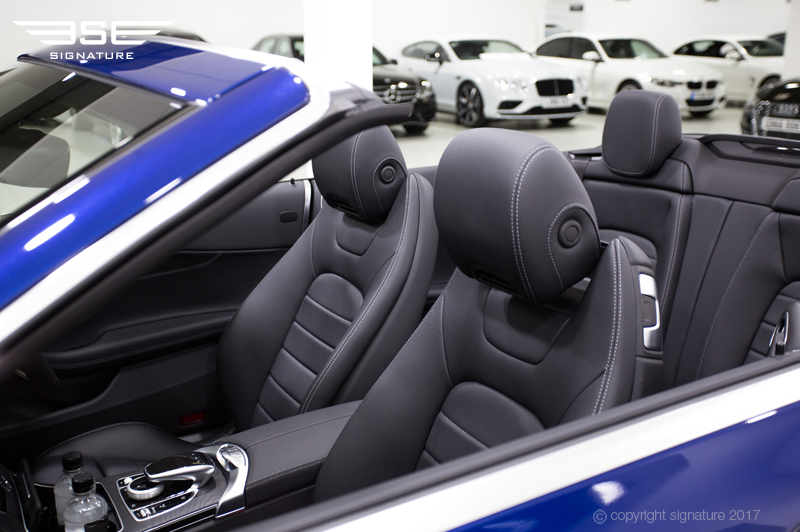 This Mercedes C Class cabriolet was launched at the Geneva Motor Show in 2016 as has been a firm favourite ever since – hire this gleaming blue 220 d model to find out why. 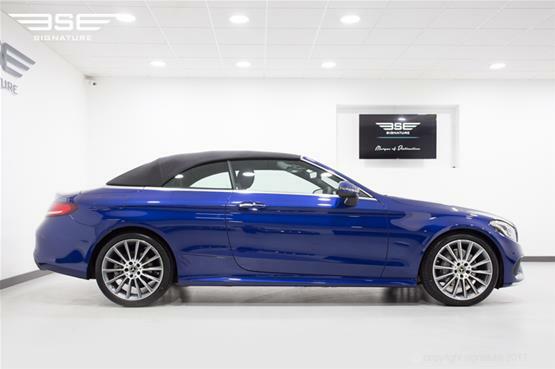 This convertible Mercedes hire car comes equipped with a four cylinder twin-turbocharged 2.1 litre diesel engine that delivers 168 bhp, resulting in a respectable 0-62 MPH time of 8.3 seconds. 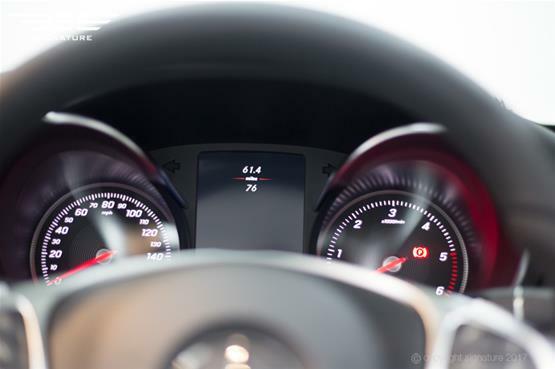 Another great aspect of the engine is its brilliant economy: the car is capable of doing 63 miles per gallon, while producing only 116g per kilometre of CO2. 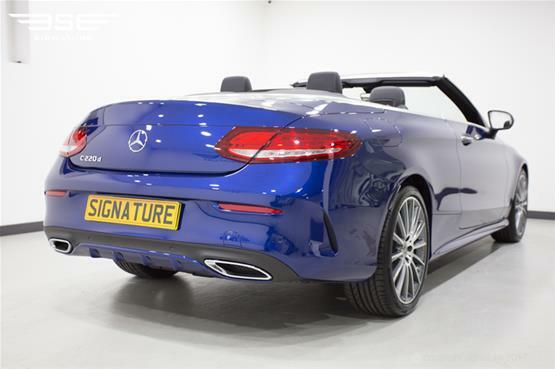 The cabriolet has also been given a new four-link front suspension, coupled with an adapted version of the hard top’s multi-link suspension at the back. These new arrangements ensure that the car is stable and well balanced, with confident steering that responds well to driver commands. 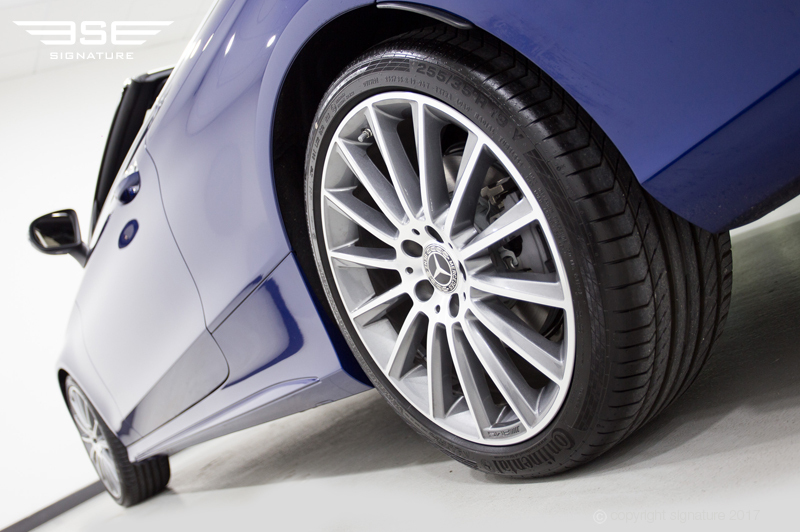 In town, where potholes are ever-present, the suspension cleverly minimises the effect of these surface imperfections, while still maintaining the light and precise steering. 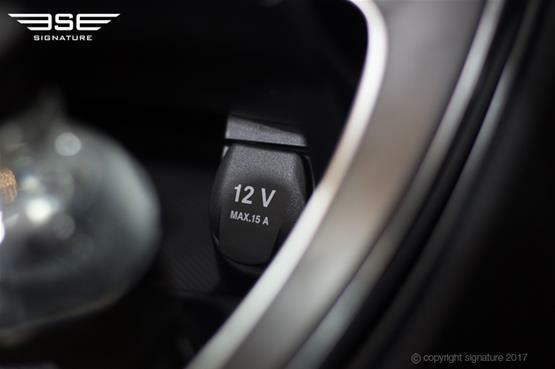 The steering system has also been upgraded for this model, alongside the new automatic nine-speed gearbox that shifts gears flawlessly, making the entire driving a pleasure from start to finish. 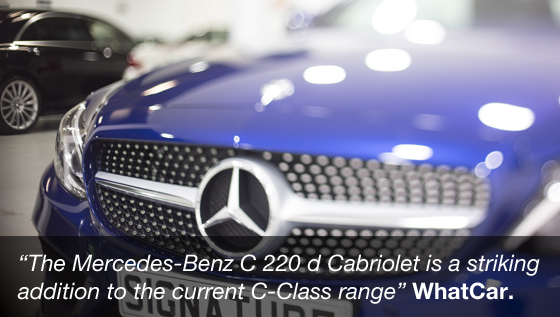 The C Class 220 d is fundamentally a cruising car and it guarantees a smooth, enjoyable self-drive car hire experience regardless of whether the roof is up or down. 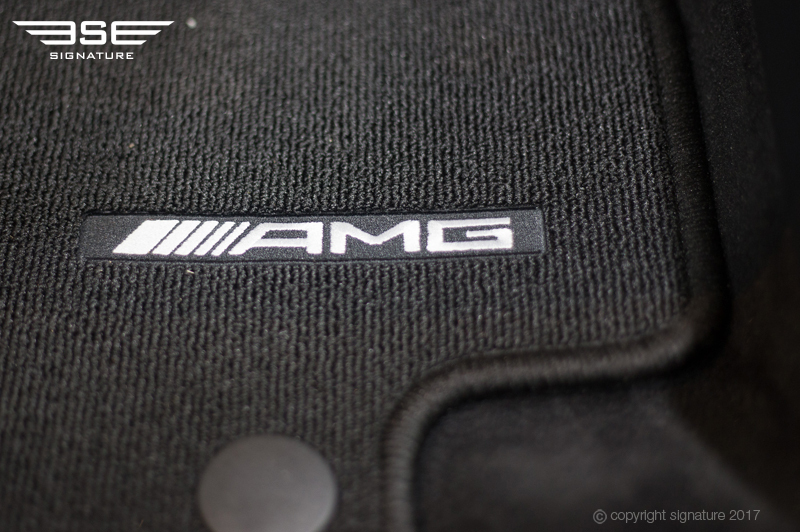 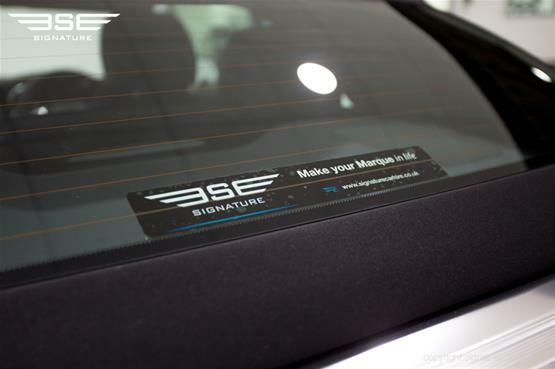 Thanks to its fabric lining the lightweight roof shuts out road noise even at high speeds, while clever engineering ensures there’s very little wind interference when you fold it away. 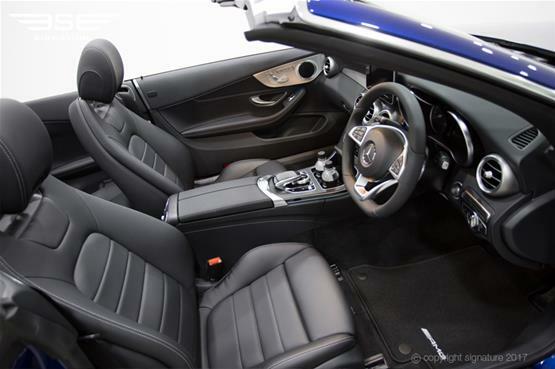 Incidentally you can open or close the roof in just 20 seconds, and at speeds of up to 31 mph, so there’s nothing stopping you from having your ride exactly how you want it. 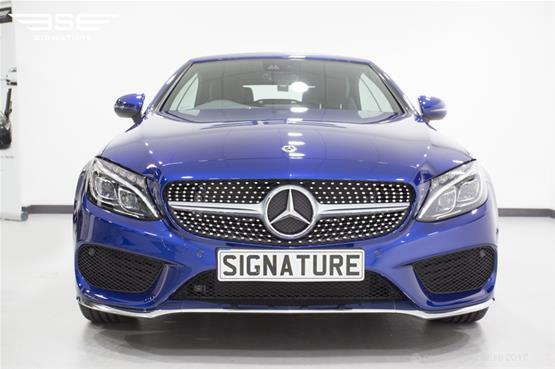 Mercedes doesn’t believe that the everyday should be ordinary, and what you have here is a delightful, anything-but-ordinary rental car that is both suited to any occasion and fun to drive on a self-drive hire basis. 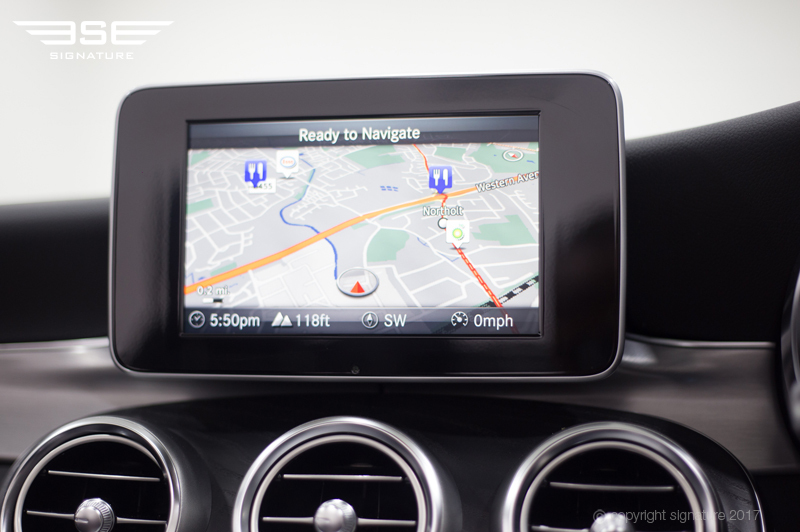 Just click on the quick quote panel above to take your first step towards your london car hire. 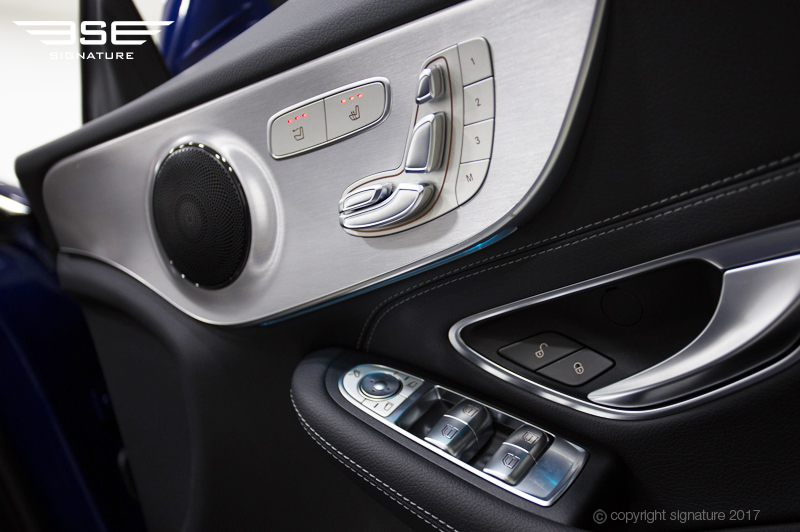 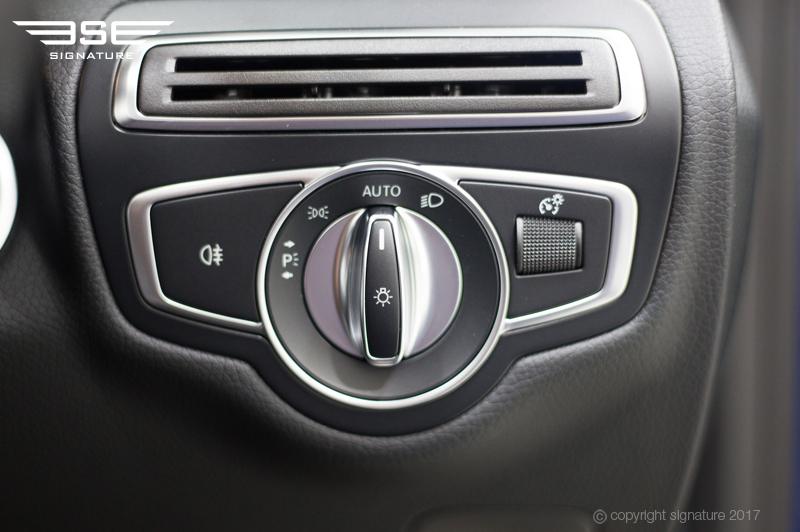 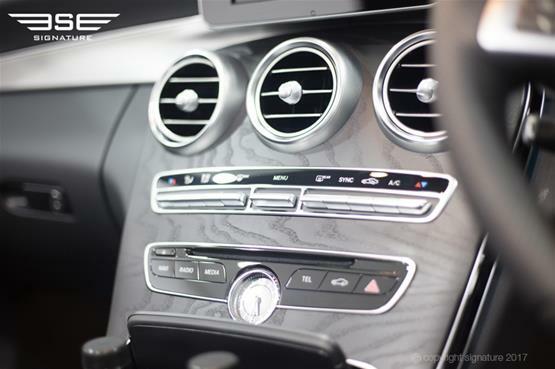 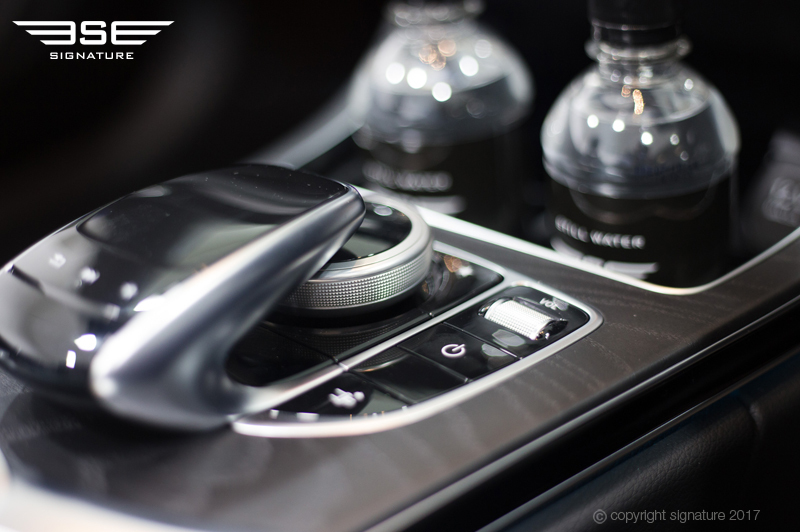 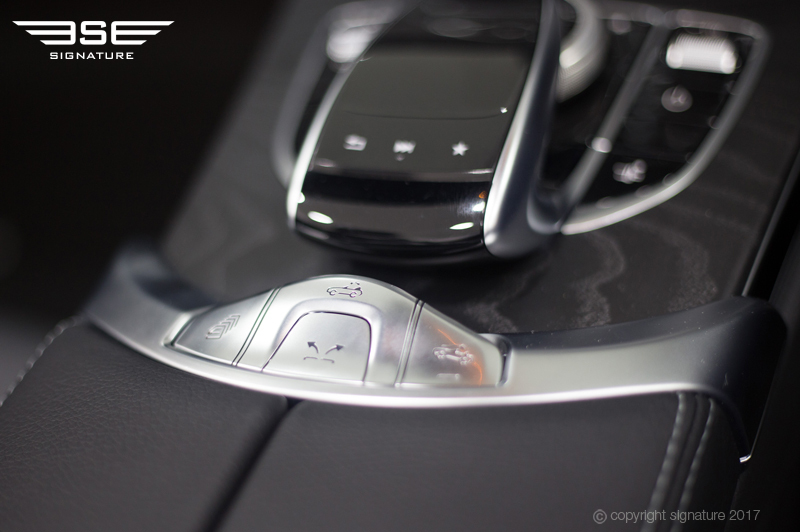 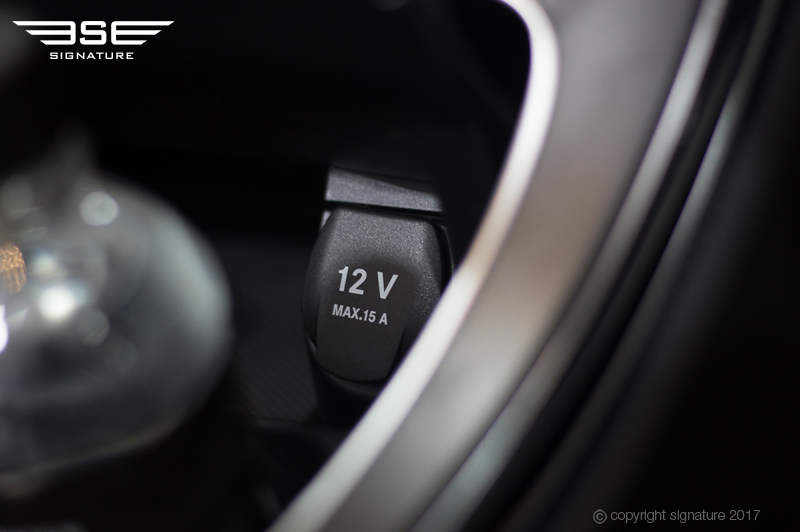 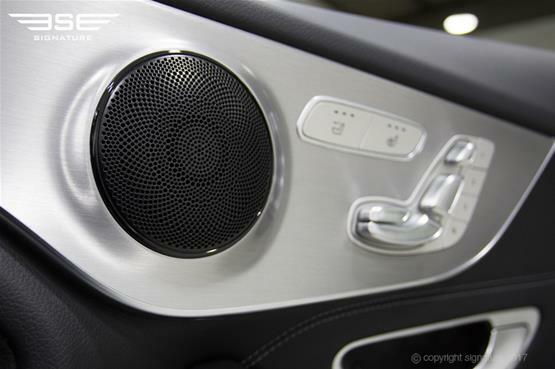 From a technical perspective, two of the best features of this car’s interior are the AIRCAP AND AIRSCARF systems. The AIRCAP minimises draughts when you’re driving with the top down by deflecting the airstream over passengers’ heads, while AIRSCARF pumps warm air from the headrests to ensure you don’t get chilled during the journey. Other great tech features include the Garmin Map Pilot nav system, self-parking, keyless start and heated front seats. 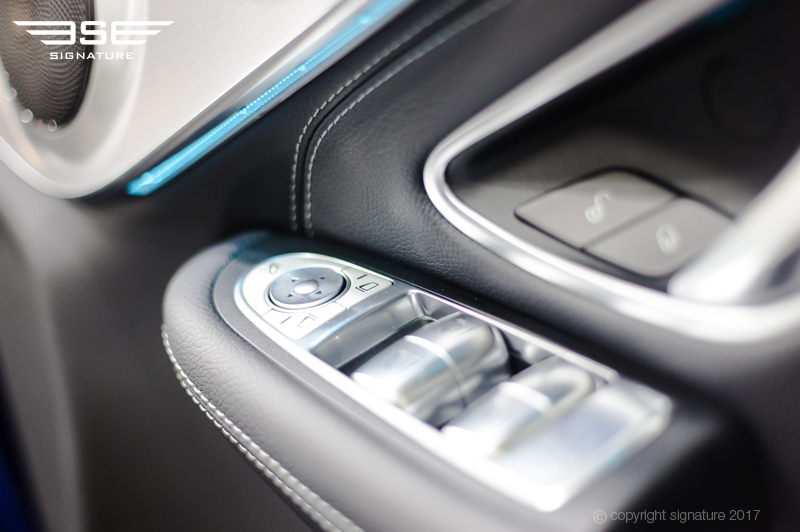 Design-wise, the inside of the cabin feels both well thought out and luxurious. 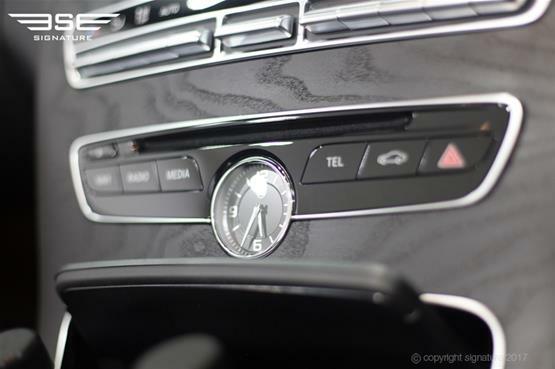 There’s far more glossy wood, aluminium and leather than you’d expect from a mid-range hire car such as this, and furthermore all the materials are both well finished and high quality. 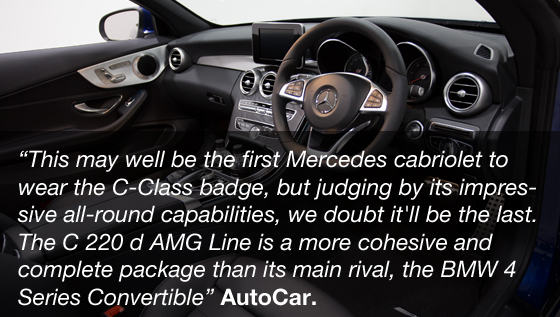 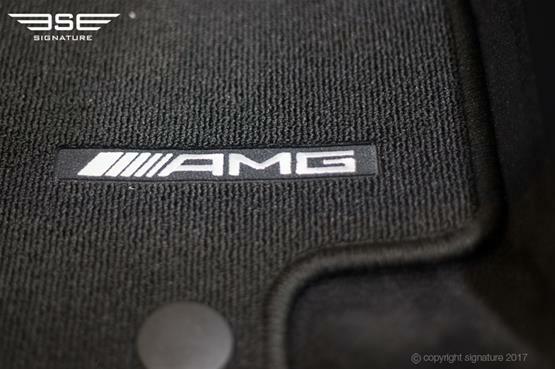 This is typical of Mercedes, a marque which never compromises on standards just to meet a price tag. 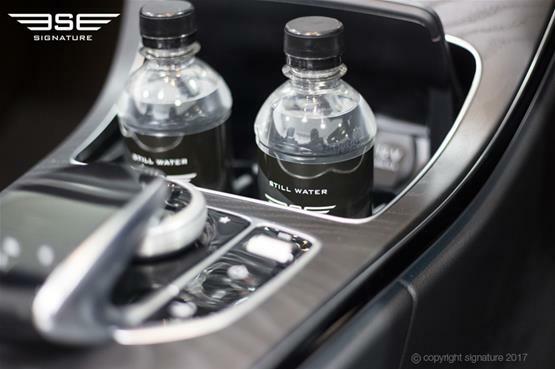 For those who like to travel prepared, the car has 260 litres of boot space, which can be expanded to 355 litres when the roof is up. 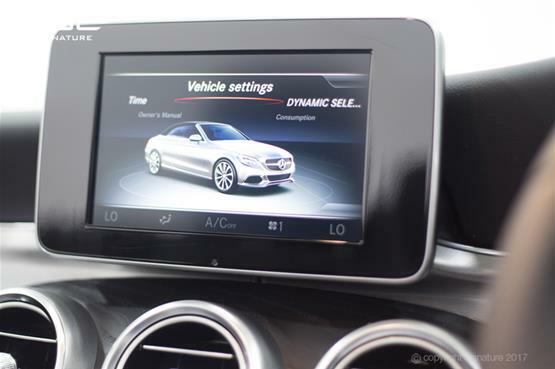 This makes it perfect for short to medium distance trips and weekends away. 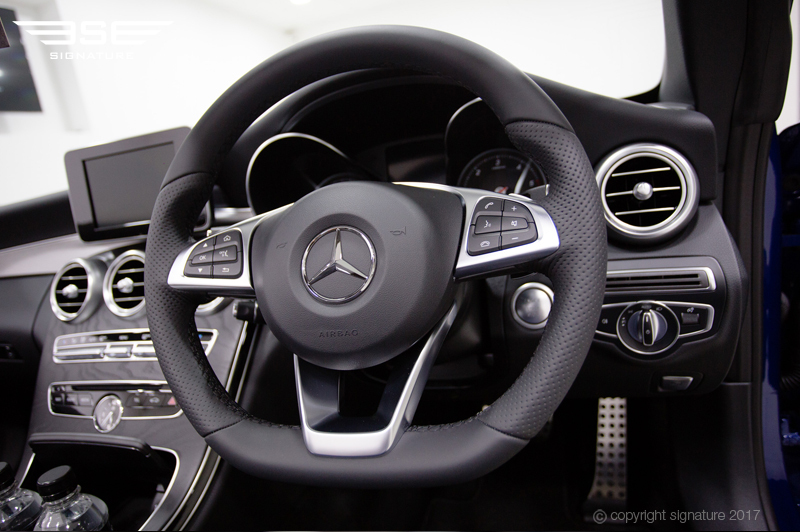 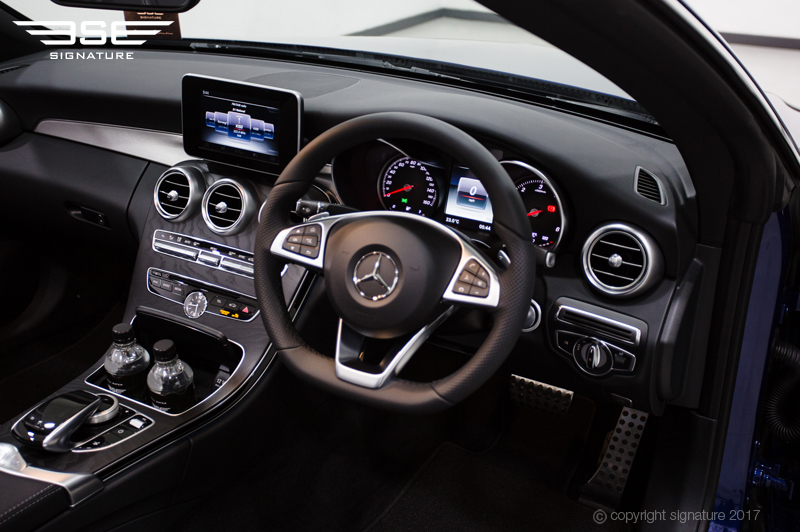 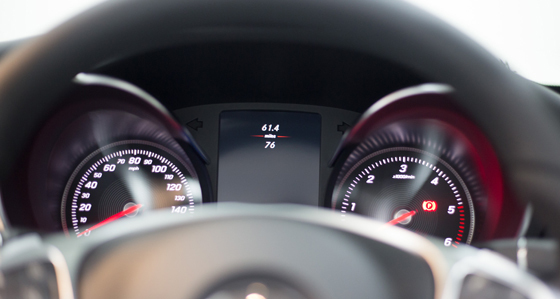 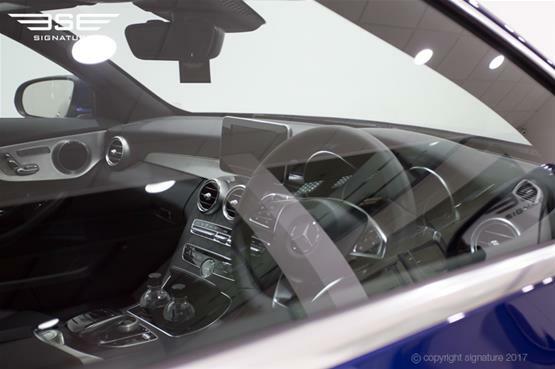 As with all Mercedes vehicles you get state-of-the-art safety equipment in the C Class cabriolet, including driver alertness monitoring, adaptive cruise control, lane assist, collision prevention and pedestrian detection. 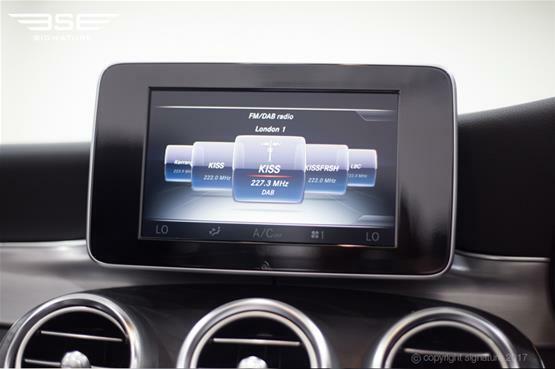 Also included is a rollover detection protection system that instantly deploys if the car tips over. 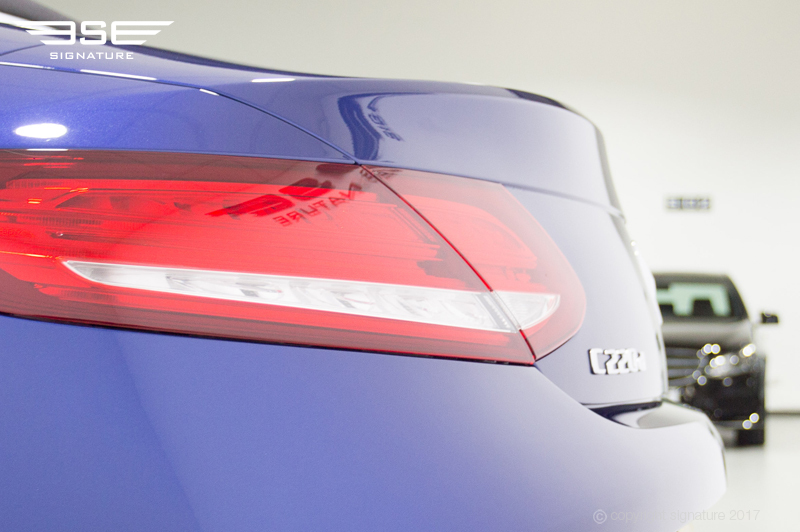 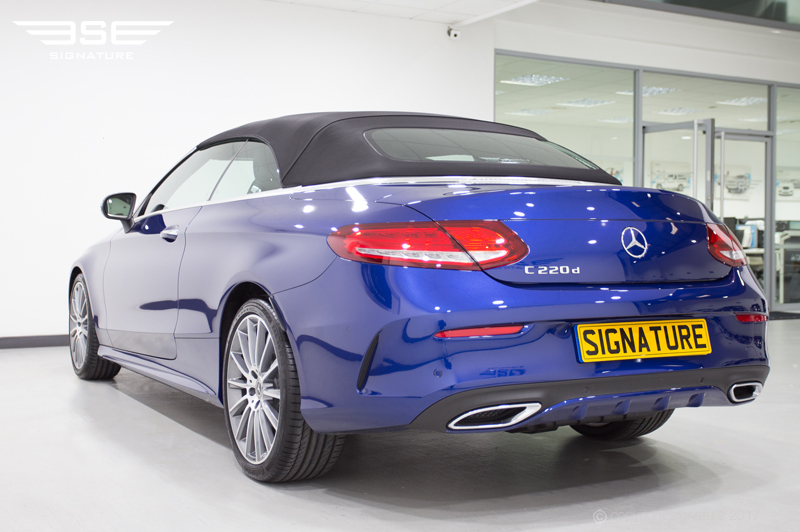 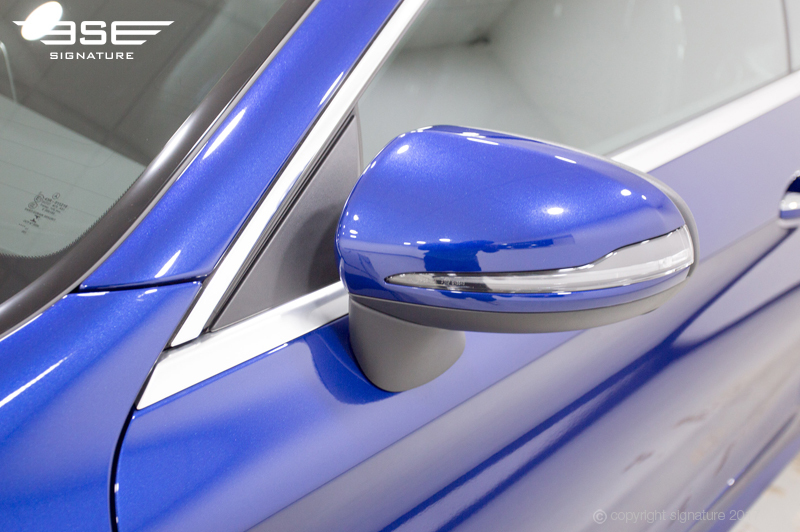 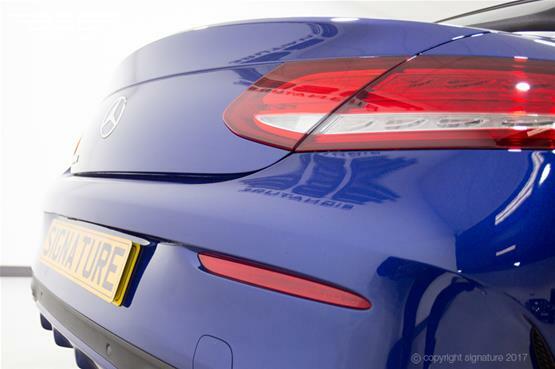 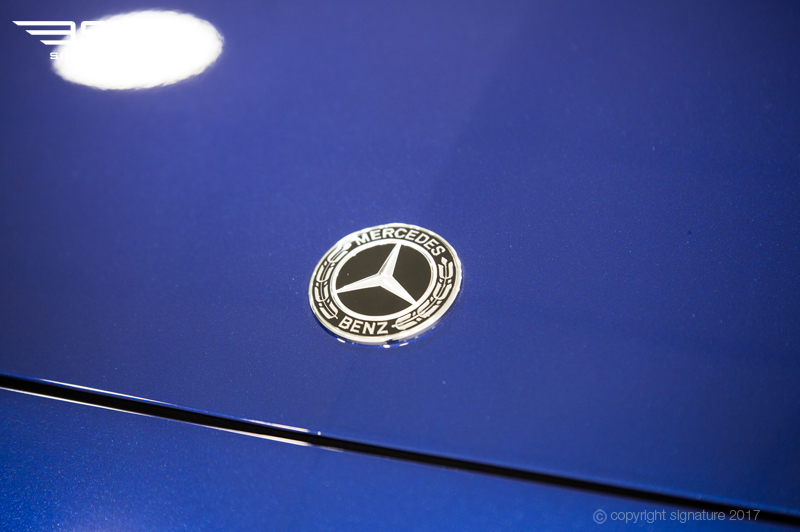 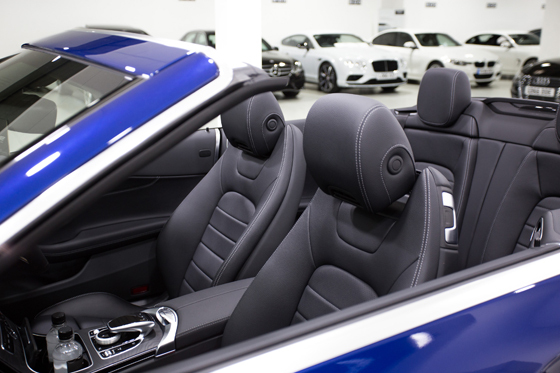 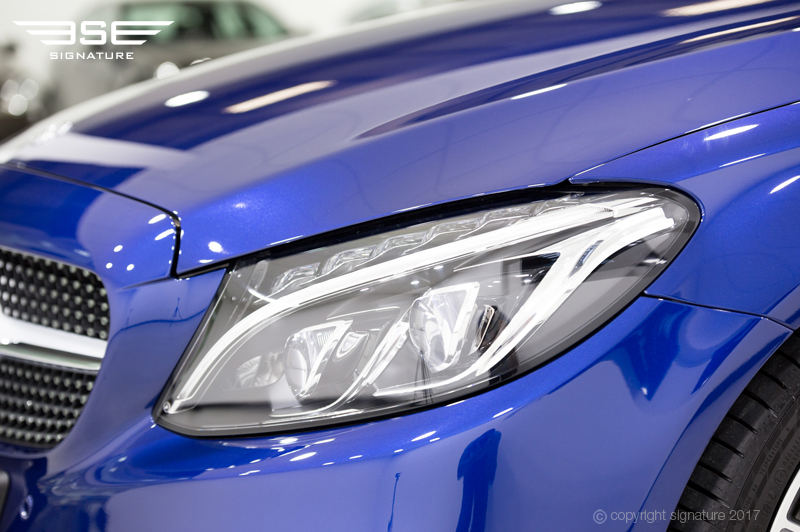 We love the brilliant blue colour of our C Class 220 d cabriolet Mercedes, which accentuates the bold, fluid lines of this soft top car. 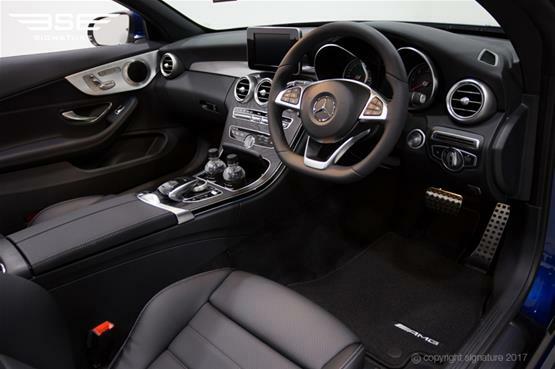 With the fabric roof up the cabriolet follows the styling of the C-Class Coupe, but when it’s lowered the car has a dynamic look that’s all its own. 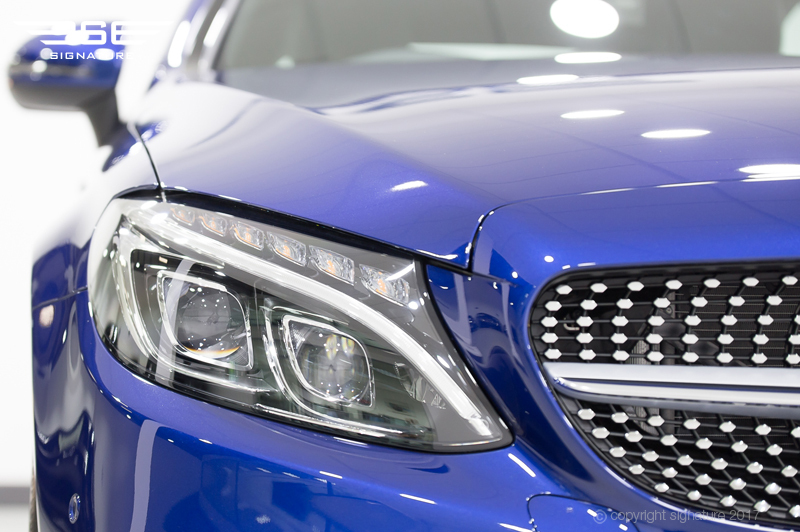 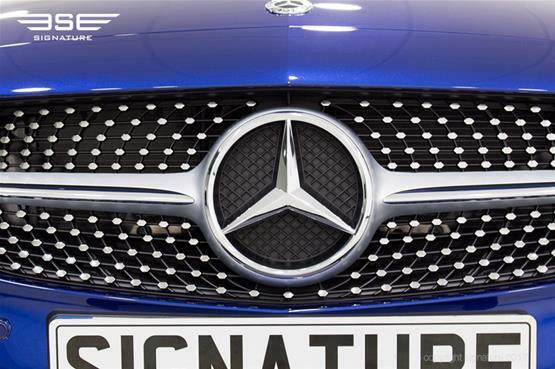 At the front of the car is a three-dimensional radiator grille and strong new headlamp contours, which emphasise the long bonnet and combine to create a stunning look that’s typically Mercedes. On the side profile, the car is longer and wider than previous models, with sculptured wings and powerful shoulders, while the rear end is decidedly athletic, framed by soft edges that accentuate the powerful curves and vaulted spoiler lip. Overall, the design showcases the modern character of the car, combining sensuous surface geometry, muscular lines and a purist approach. At night, furthermore, when the LED lamps and their LED Intelligent Light System are put to work, the car has a distinctive look that’s centred around the twin-torch design at the rear. 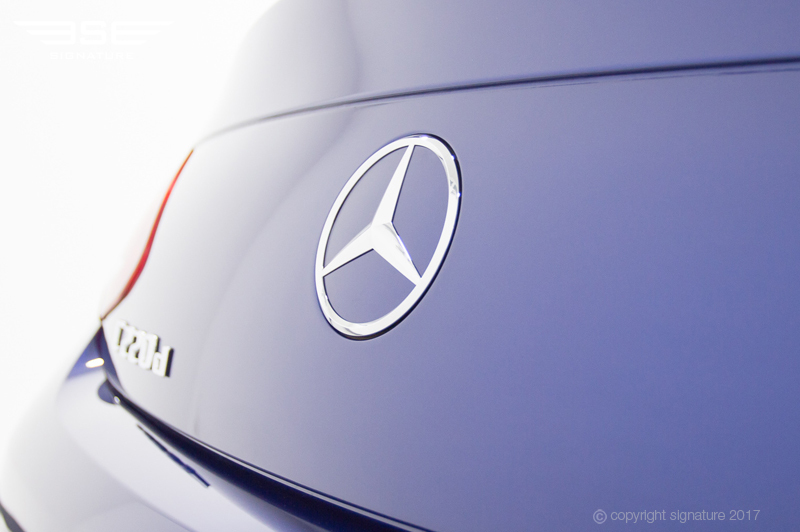 Want to hire a Mercedes in the UK? 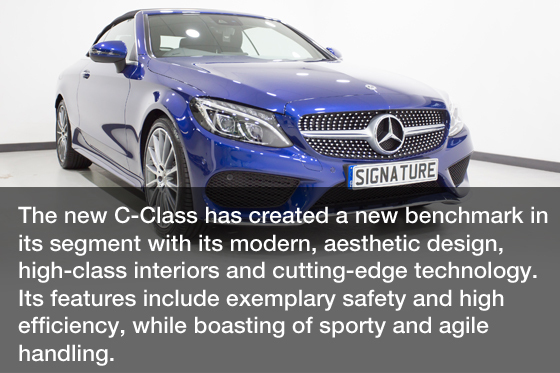 Call us now for more details.